In Part 2 of How Kiritsugu Got So Messed Up, young Kiritsugu finds himself in a gender-swapped version of The Professional. 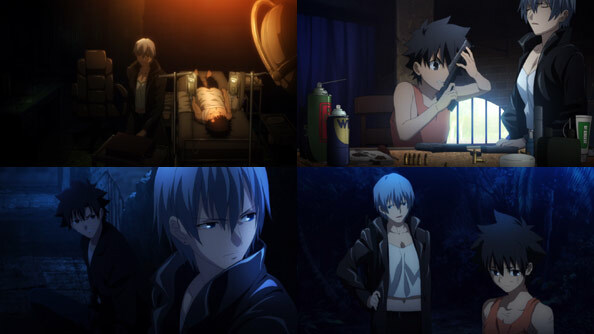 Natalia is Leon, the ‘cleaner’ with a heart of gold who suddenly isn’t alone, and Kiritsugu is Matilda, the trauma-stricken, anger-filled youth searching for purpose. After saving him, Natalia takes Kiri under her wing, gradually teaching him the basics. Before long he’s accompanying her on jobs, and if there’s one complaint I have with this episode (and it’s not a biggie), it’s that there’s really no transition between Kiri’s ‘kid’ and ‘adult’ voices. What Nat continually drives into Kiri (whatever voice he has) is that her line of work, one’s own survival is the most important consideration. If you’re dead, it’s all for nothing. As a result of her training and care, Kiri becomes a highly capable and reliable apprentice. (She also eventually powders some of his ribs into 66 bullets). The moment a Dead Apostle named Odd Vorzak appears in the tray of Natalia’s fax machine, I had the ominous feeling that it would be her last job, but while the destination was basically known, I still greatly enjoyed the journey. 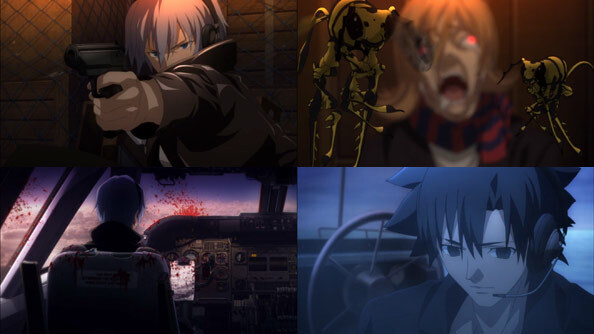 As a big job in which Kiritsugu plays a crucial role, flying to NYC ahead of Natalia and utilizing his bullets, there’s an auspicious tone to the proceedings. While there are few things worse than getting the back of your seat kicked on a plane, what Natalia does to Vorzak is most definitely one of them. It’s a great scheme, transporting Kiri’s bullet into Vorzak’s back, and it’s executed perfectly. But it’s also all too easy, and I couldn’t help but think there would have been better, and more importantly safer ways to eliminate him. Sure enough, while taking care of the bees in Vorzak’s luggage in the hold, all hell breaks loose in the cabin, as Vorzak was carrying more bees in his body. All 300 crew and passengers are quickly turned into vicious ghouls. By some miracle, Natalia is able to reach the cockpit, but it’s a long, tense trip to New York with those ghouls at the doo, and you can feel it. Kiritsugu keeps Natalia company over the radio, in a beautiful scene that lessons the tension but still feels like it captures the specific emotions of the situation perfectly. 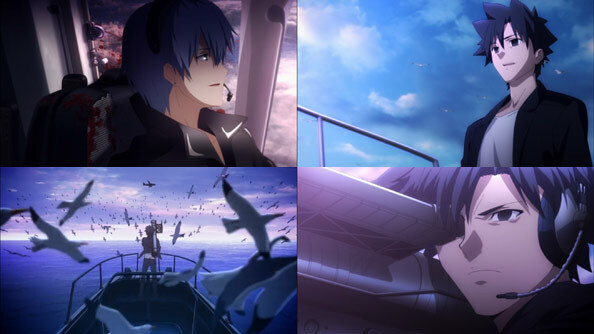 As they talk, Natalia gets more an more sentimental, wondering if “playing at a family” is what caused her to screw up so badly, while Kiritsugu subtly talks of her in the past tense, sailing out into open water on one of the small, efficient little boats he loves to use. 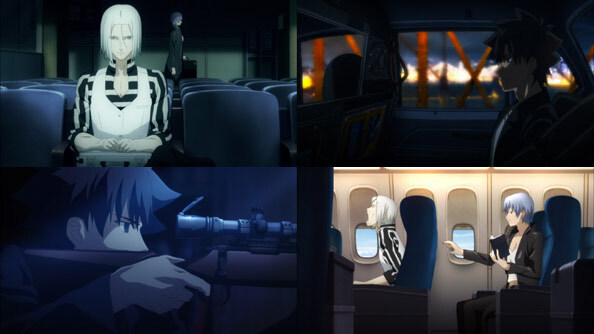 There’s a wonderful ambiguity to what Natalia’s particular thoughts are about the conversation she’s having with Kiritsugu, and if and when she realizes that he’s preparing to destroy the plane before it lands. After all, she trained him, and always knew he had way too much potential in her line of work, not to mention her edict that her apprentice think of his survival first and foremost. Whatever she feels or knows, the reveal of the missile launcher just as the dawn arrives, with a flock of seagulls circling Kiritsugu as if he were the center of a storm—it’s all wonderfully staged and directed. And before pulling the trigger Kiritsugu makes sure Natalia knows: he was glad to have her as a mother. As is usually the case with Kiritsugu, I can totally understand why he does what he does, even if it’s absolutely horrible: that plane could not be allowed to land just because Natalia is dear to him. The other 300 people on the plane weren’t people anymore, and if they get out into the city, many many more people would’ve died. 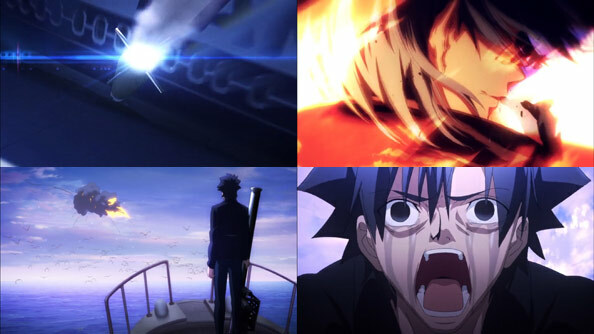 Kiritsugu couldn’t allow that, so he does what he couldn’t do when Shirley turned into a vampire: nothing more or less than What Has To Be Done. There’s such a dark, bleak symmetry to Kiritsugu killing his real father and adoptive mother as bookends to his transformation into the Emiya Kiritsugu currently fighting the Holy Grail War. Natalia was such a great character who came out of nowhere, it was sad to see her go so soon, but we were dealing with flashbacks after all, and I had no reasonable expectation she would survive them. The break in the present-day story was abrupt (especially since I haven’t watched episode 17 yet), but it was well worth the detour to learn more about the key protagonist of the story. It also demonstrated that whatever the timeline or setting, Fate/Zero knows how to tell a damned compelling story.